On this trip to South America a few years back, I was staying at a hotel in Arica, a small town in northern Chile. 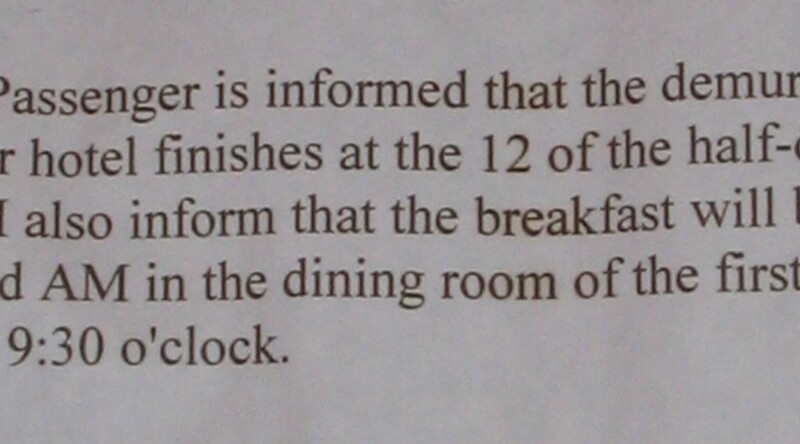 There was a sign on my room door that was evidently designed to inform English-speakers of the check-out time and pertinent breakfast details. Being referred to as ‘Mr. Passenger’, and the ‘demurrage’ finishing at ’12 of the half-day’ is, well, class. 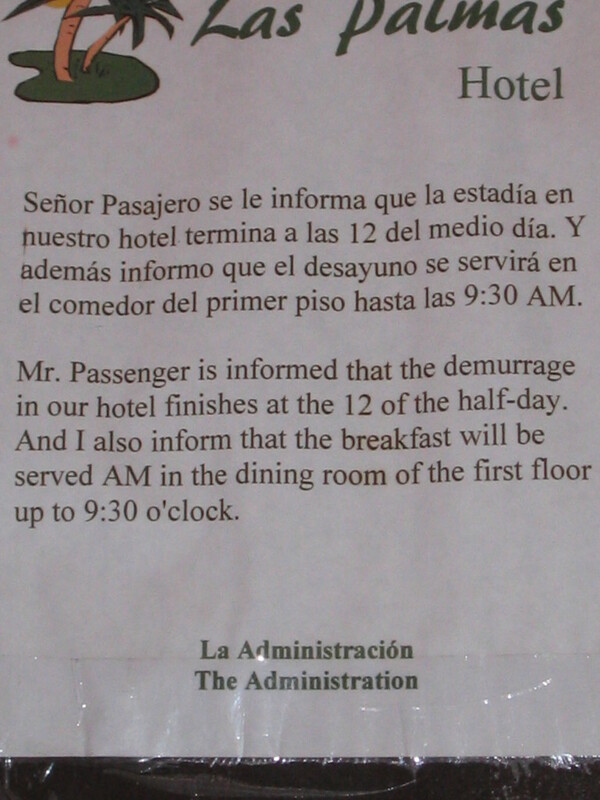 But alas, my Spanish wasn’t great, so I’m glad they at least attempted to translate the sign for me, and at least it did get the message across.